CES 2015 highlights - Day 5 | What Hi-Fi? Into the fifth day at CES 2015 in Las Vegas and there was still much to report upon from the hi-fi and home cinema world – not least the 10 Stars of CES 2015, our pick of the best products on show. The What Hi-Fi? team have been scouring the rooms of the Venetian Hotel in order to uncover what is proving hot in the tech world this year – from amplifiers to headphones and a new music format. But that wasn't all that Thursday provided at CES 2015, with more news and product launches trying to grab the attention of visitors. Here are the highlights from another exciting day over at CES 2015. 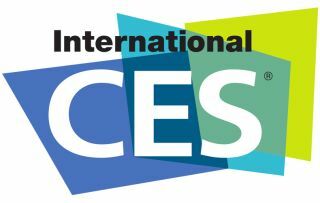 And, of course, we start with the much-anticipated announcement from the International News Stage and the annual Stars of CES – products that caught our attention more than most during our stay. From striking new headphones to unique music systems, amplifiers and loudspeakers, these are the 10 products we expect to make waves in 2015 – not to mention a brand-new music format. Philips had an impressive product to show us on day five of CES 2015 – its NC1Ls, battery-free, noise-cancelling cans that draw power from your iOS device using a Lightning connector. The NC1Ls are also equipped with an integrated 24-bit DAC among a "full chain of audiophile-grade components" and neodymium drivers that make these headphones a very interesting prospect. CES 2015 gave us our first chance to look at the D'Agostino MLife – an integrated amp that builds on the company's Momentum amp by adding in wireless streaming capabilities. It packs in AirPlay, Bluetooth and services including Tidal, while delivering 200W per channel into 8 ohms. It's expected to go on sale in a couple of months, but will set you back $48,000. A "new standard in technology" has been heralded by House of Marley at CES 2015, with the audio brand announcing the launch of its latest products – including aptX Bluetooth in-ear headphones. The One Foundation music system was another House of Marley highlight at this year's show, with a number of other new headphone models and wireless speakers also unveiled by the company.